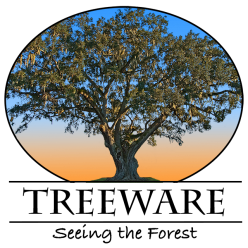 Treeware is the personal website for Charlie Houder, a forester living in Gainesville, Florida. Charlie has worked in natural resource assessment and management for over 40 years in both the public and private sectors. His experience extends across the southeastern United States, focused primarily in northeast Florida. Since 2017, Charlie has been director of Alachua County’s Department of Parks and Conservation Lands. There he oversees the maintenance of the County’s two dozen parks as well as the management of 14,000 acres of nature preserves. The Department also implements the Alachua County Forever program to acquire, improve, and manage environmentally significant lands that protect water resources, wildlife habitats and natural areas suitable for resource-based recreation. Saunders Real Estate | Forestry Group helps buyers and sellers of timberland tracts with expanded specialty services for timber real estate brokerage, acquisition due diligence, investment analysis, and agricultural property valuations. Charlie’s work included conservation easements, public land acquisition, and ecosystem services. He represented the owners of Gilchrist Blue Springs which was sold to the State of Florida for the creation of a state park. For 28 years, Charlie worked with Florida’s water management districts, in the implementation of Florida’s ambitious public land acquisition programs. Through the Florida Forever, Preservation 2000, and Save Our Rivers programs, he oversaw the acquisition of land and conservation easements on over 300,000 acres for the Suwannee River and St. Johns River water management districts. He oversaw the stewardship of these lands to provide multiple benefits including watershed management, natural community restoration, timber production, and recreation.